I’ve never really felt particular attachment to my first or last name, which is something I try to avoid mentioning around my dad, even though I’m pretty sure he knows how I feel about it. Maybe it’s because I just don’t enjoy being named after someone else at all – I just don’t like the concept of being a namesake. Maybe it has something to do with the fact that I still feel like a teenager in that I always want to be my own self, my own distinct personality outside of family ties (or any ties, really), and I find it strange at times to be a part of a family with a lot of shared identical names. Maybe it’s also the very simple fact that I just crave originality. For those who don’t know this already, Dante isn’t my surname – it’s actually my middle name. “Joseph Dante” is the writer pseudonym I’ve chosen for myself. I had ideas about completely reinventing my identity and coming up with something entirely new, but I ultimately went down this road instead. It’s simple enough, yet it also sounds writerly. It has some kind of commanding presence, despite my understated tendencies. My middle name is a literary allusion too, which probably helps, although it’s probably not the one you’re thinking of. 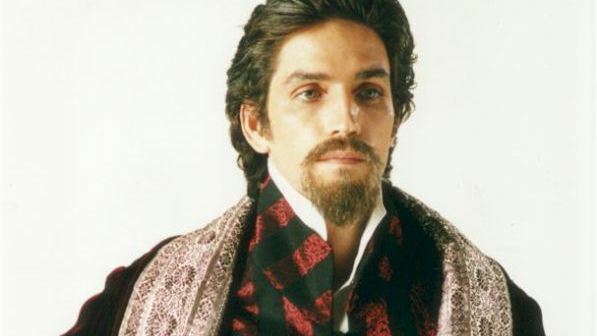 My mom didn’t actually name me after the Medieval Italian poet, but rather the protagonist of the novel The Count of Monte Cristo, Edmond Dantès. She was so smitten with the character at the time that she decided I had to have it. So I guess this actually makes me both a namesake and a reference. I’m really glad she decided to do that though because she was particularly adamant about avoiding having a son that’s a complete copy. I’m content with the Dante part. I started thinking about my real name and my writer name and what they both mean to me after reading this fantastic essay by Kathleen Alcott. Unlike myself, Kathleen comes from a family of writers and feels a very special affinity for her name. I can’t help but feel slightly jealous of her in these regards. I’ve also been thinking a lot about names and how they relate to our sense of identity in terms of my own fiction – it was just recently, in fact, that I sent out a coming of age story to an up-and-coming online literary journal about a boy who feels so little attachment to his name and real identity that he actually starts to forget it entirely. He creates all of these aliases for himself for comfort yet he continues to feel so completely detached from all of them that he starts speaking his own language. I’ll be sure to let you all know about that story when it finds its proper home. Hmm. This post is really intriguing me. I think the question of identity is one that many people struggle with, but perhaps overwhelmingly so in the writers' community. There are even many writers who assume multiple identities, based on the type of work they're doing (applying different names/personalities to different types of works). Your own story is interesting – I'm glad you're taking the time to really think about it and analyze it, to help you decide a best course of action (and not just slap down a neat-sounding pen name). Also – looking forward to hearing about this submission. The premise is original and rather exciting. Best of luck with it! I think you're right about writers and how much significance we tend to give names and the naming process itself. Identity is really important to us, and so are words, so I guess that's only natural. I've been getting my Nana into reading recently, and one of the authors she really loves, Victoria Holt, apparently had over a dozen other pseudonyms because she wrote so many books in all different genres. That's just kind of crazy to me. And thanks for the support! I'll keep everyone in the loop once I know what's going on.